As with a shoulder arthroscopy, the surgeon may choose to repair any damage he discovers during the procedure. As with a shoulder arthroscopy, you may require more invasive surgery if the damage the surgeon sees is too extensive. 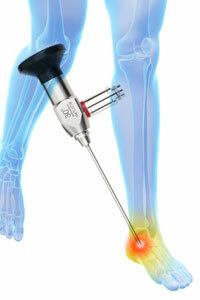 An ankle arthroscopy may be used to explore issues such as ankle pain, damage to the ligaments, limited mobility in the ankle (called ankle impingement), scar tissue that develops after the ankle has been injured previously, arthritis, and cartilage problems.